Donegal Mutual Insurance Company and its wholly owned subsidiaries, Mountain States Commercial Insurance Company and Mountain States Indemnity Company, market commercial products as the Mountain States Insurance Group in Colorado, New Mexico, Texas and Utah. 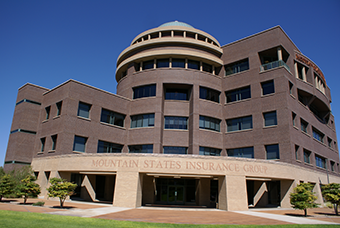 Mountain States Commercial Insurance Company and Mountain States Indemnity Company are domiciled in New Mexico and operate from headquarters in Albuquerque, New Mexico. 5051 Journal Center Boulevard, N.E.